WHat is the Colorado music collective? The Colorado Music Collective (CMC) is a community based collaborative effort curated by Levitt Pavilion Denver and designed to connect and strengthen the Colorado Music scene through advocacy and monthly networking events. The CMC meets the first Tuesday of each month at Syntax Physic Opera from 6:00 - 8:00pm. 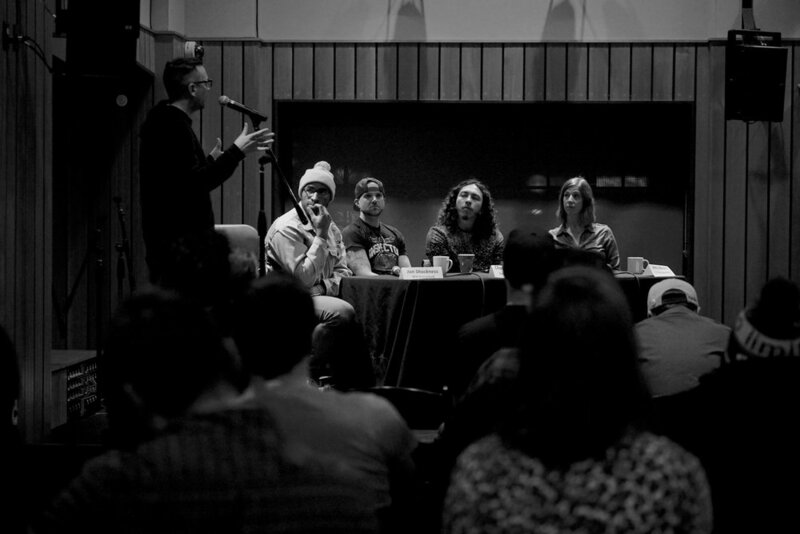 These monthly events combine networking with hot seat discussions focusing on current issues pertinent to Colorado based music industry professionals. The Colorado Music Collective is a great place for musicians and industry types to mix, mingle and network with other like-minded individuals. It’s also becoming an incredibly valuable resource for the Denver music scene and beyond. Subscribe to get more awesome resources from CMC!